If you're regularly going to be loading groceries into the back of the GX, test it. The lift-up height is among the highest we've seen in a new vehicle. Lexus has succeeded in making the 2010 GX 470 safer, more responsive, and more comfortable, while maintaining its off-road chops. 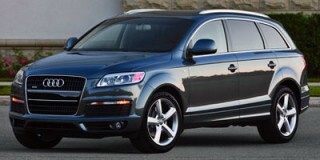 But those who want cargo convenience and versatility will be better off with a crossover. TheCarConnection.com has driven the new Lexus GX 460 on- and off-road, parked it, and even tried sitting in all three rows of seats in order to bring you the best all-around summation of this luxury SUV's strengths and weaknesses. We've also researched reviews from other sources, featured in an accompanying full review. Slotting just below the Land Cruiser-based LX 570 in the Lexus lineup, the mid-size 2010 Lexus GX 460 is all-new this year, itself based on the Toyota 4Runner. While the 4Runner offers four-cylinder and V-6 engines, the GX offers a V-8, power-folding third-row seats, plus a host of luxury and technology options and much-improved refinement—while allowing impressive off-road and towing ability. Throughout the GX, designers have blended the gentle, organic, and aerodynamic styling of the Lexus L-Finesse designs of recent years with a "machined steel bar" theme, giving it a more sculpted, solid look that separates it from the cars and crossovers. From the front, the likeness with Lexus cars is obvious, with a similar chromed grille flanked by rather large headlamps (which bow slightly to meet U.S. regs). In back, the GX has a clean, uncluttered look, mainly thanks to the narrow vertical taillamps and a new wiper design that's hidden under the roof spoiler. 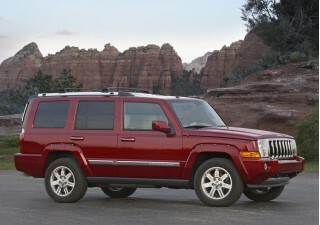 Alongside, the GX looks the most 'trucky,' with carved-out fenders and the very tall, imposing beltline. Lexus likes to think of the interior as "tough premium," with the GX combining the expected chunky trim and bulkier door handles with soft, luxurious materials. The instrument-panel design is quite upright and has a horizontal-bar theme running its length. With a big, torquey V-8 engine and pleasant throttle calibration—plus surprisingly good on-the-road handling composure—the GX 460 is easy to drive smoothly yet moves quite quickly when you need it to. A new 301-horsepower, 4.6-liter V-8 replaces the 4.7-liter used through 2009 in the GX 470, and the GX now gets six speeds for its automatic transmission, up from five. The new powertrain is up to Lexus standards of smoothness and refinement, although you do hear the engine a fair amount inside when accelerating. Lexus says it can get to 60 mph in 7.8 seconds, and the transmission kicks down quickly—even a couple of gears if needed—quickly yet without jolts. Fuel economy ratings are significantly improved, at 15 mpg city, 20 highway, up from 14/18 before, and TheCarConnection.com confirmed an average of nearly 19 mpg in mostly highway driving. 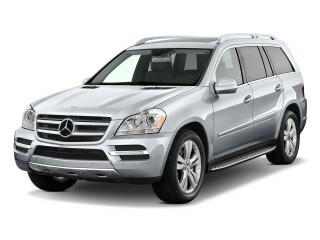 Even though the GX 460's low running boards wouldn't suit serious rock-crawling, it's more than another off-road poseur. The full-time four-wheel drive system includes a Torsen center differential and distributes power 60 percent to the rear wheels in normal driving, with more sent to the rear wheels during acceleration. This body-on-frame ute has a low range, plus a center diff lock that might be of use for sand, mud, or snow, while a host of electronic controls help you maintain control and moderate speed while getting off-roading. Among the most noteworthy is the available Crawl Control, which micromanages momentum over the toughest terrain at crawl speeds between 1.0 and 3.7 mph, selectable in five increments. All the more impressive is the standard Kinetic Dynamic Suspension System (KDSS), which hydraulically links the front and rear stabilizer bars. It serves two roles: Off-road it allows wheel articulation while helping press down on the opposing wheel to maintain contact, while on-road it aids ride quality and minimizes body roll. However, on curvy roads, KDSS has a knack of leading you to believe you have more grip left than you actually do. That said, the GX feels surprisingly comfortable on a twisty road at a moderate pace. The steering is fairly good for a vehicle like this, with no road feel and an artificial weighting off center, but you'll find yourself making plenty of small adjustments in highway crosswinds. We found brakes to be one of the least appealing part of the driving experience—they felt spongy and difficult to modulate. Premium grade models also get an Adaptive Variable Suspension that allows Sport, Normal, and Comfort modes, but in either case ride quality is quite good. The 2010 GX has a nice, high seating position in front—so much so that at least looking ahead and to the side you don't feel that the beltline is so tall. The front seats and driving position in the GX 460 remind us why so many drivers were won over by SUVs in the past decade. Seating in the GX 460 is superb in front, with nicely padded seats affording plenty of support plus good headroom and legroom and a general feeling of spaciousness. The second row of seating in the GX 450 is split and slides fore and aft more than a foot in all so that third-row occupants can get in and out more easily, and so that second- and third-row passengers can compromise for the best allocation of legroom. The back row is also split, with an all-new design that should be more convenient for occasional third-row users; the sections are electrically operated and can be brought up or down in a half-minute or so by holding down a button just inside the side-opening rear hatch. The upside of this new design, aside from the handy power deployment, is that it's actually doable for adults for short stints—if you're willing to accept a seating position that places your knees up near your chest. But there's also a big downside to the new design: While the third row in the old GX could be removed, making the GX feel more like a vehicle that was retrofitted with the power third-row arrangement on a budget, from an existing vehicle, than an all-new one. There's very little cargo space behind the third row when it's up. Overall, we're pleased with the look and feel of the interior appointments. The GX has more unique interior pieces than ever before. The controls felt better designed and less cluttered than those in Lexus cars, and we loved the redesigned steering-wheel controls and nice, legible gauge layout and cleanly laid-out center-stack for audio, climate, and nav functions. The only odd thing is the sliding panel that partially covers audio controls. Since the 2010 Lexus GX 460 is an all-new vehicle with a new structure, there aren't yet any crash-test ratings available. But there sure are plenty of safety features. In addition to the usual stability control and anti-lock brakes, Lexus claims that the GX 460 has a best-in-class ten airbags, including front side, rear seat side, and three-row side-curtain bags, plus knee bags for both front occupants. Active front head restraints also enhance rear impact safety. Unfortunately, with the beltline brought even higher than before and a thicker back pillar, the blind spots have grown, leaving you to double- and triple-check when changing lanes. A back-up camera is now standard, but a wide-view front and side monitor system that helps a lot more is optional and requires the navigation system. Also available is a Pre-Collision System, which primes the braking system for emergency braking and employs a driver monitor system; the feature is packaged together with Dynamic Radar Cruise Control and Lane Departure Alert, which detects lane markings and sounds a buzzer to warn the driver. Safety Connect—a GPS-based roadside assistance system—is included with all GX models. As you might expect, the Lexus GX 460 comes with nearly all the traditional luxury and comfort features standard. What you opt up—especially on the Premium Grade model—are the rich technology, entertainment, and information features, like 330-watt Mark Levinson surround sound, a rear seat entertainment system, Intuitive Park Assist, and the aforementioned safety-tech package. Lexus' navigation system is now packaged with Enform, which offers a suite of services delivering weather, stock quotes, and sports scores, among other things, plus a Destination Assist service that allows a remote operator to input program your nav system. The 2010 Lexus GX 460 doesn't stray much from convention, but the classy, uncluttered look inside is a step in the right direction. Motor Trend: "Overall, the GX looks more sculpted, more muscular." MotorWeek: "indeed both a throwback and unique." MotherProof: "It’s a little sleek, a little rugged and a little boxy"
Motor Trend: "The overall look of the center stack and center console area is cleaner and more elegant than before." 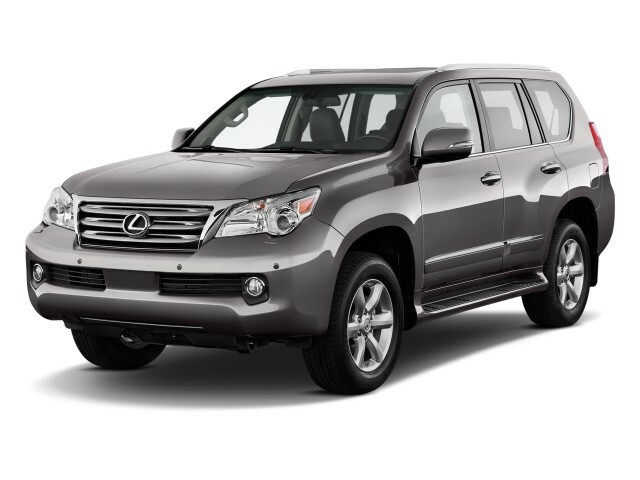 The 2010 Lexus GX 460 is hardly agile, but it handles well enough for the road while maintaining good off-road ability; the V-8 powertrain is excellent. Motor Trend: "The new powertrain is excellent"
Car and Driver: "output merely matches that of some V-6s." ConsumerGuide: "The steering is nicely weighted but lacks road feel." Car and Driver: "The GX460 doesn’t feature the 4Runner’s terrain-selectable technology that adjusts the powertrain to varying surfaces"
Car and Driver: "Crawl Control…was anything but smooth"
MotorWeek: "The GX 460 is still tow-rated at 6,500 pounds. 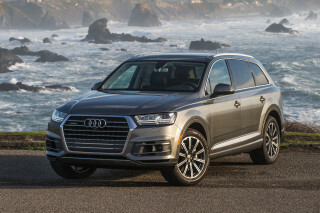 That's almost twice the typical midsize crossover." Car and Driver: "The Lexus GX460 is a gilded version of the Toyota 4Runner, a mall-cruising shopping-utility vehicle with the chops for off-road adventure." The well-appointed interior in the GX 460 offers pleasant materials with plenty of space for the first two rows; cargo space is downright disappointing, though. The 2010 GX has a nice, high seating position in front—so much so that at least looking ahead and to the side you don't feel that the beltline is so tall. The front seats and driving position in the GX 460 remind us why so many drivers were won over by SUVs in the past decade. Seating in the GX 460 is superb in front, with nicely padded seats affording plenty of support plus good headroom and legroom and a general feeling of spaciousness. The second row of seating in the GX 450 is split and slides fore and aft more than a foot in all so that third-row occupants can get in and out more easily, and so that second- and third-row passengers can compromise for the best allocation of legroom. The back row is also split, with an all-new design that should be more convenient for occasional third-row users; the sections are electrically operated and can be brought up or down in a half-minute or so by holding down a button just inside the side-opening rear hatch. The upside of this new design, aside from the handy power deployment, is that it's actually doable for adults for short stints—if you're willing to accept a seating position that places your knees up near your chest. But there's also a big downside to the new design: While the third row in the old GX could be removed, making the GX feel more like a vehicle that was retrofitted with the power third-row arrangement on a budget, from an existing vehicle, than an all-new one. There's very little cargo space behind the third row when it's up. Overall, we're pleased with the look and feel of the interior appointments. The GX has more unique interior pieces than ever before. The controls felt better designed and less cluttered than those in Lexus cars, and we loved the redesigned steering-wheel controls and nice, legible gauge layout and cleanly laid-out center-stack for audio, climate, and nav functions. The only odd thing is the sliding panel that partially covers audio controls. Car and Driver: "Sure, there’s some button overload up front, with numerous controls on the steering wheel and a peppering of suspension and four-wheel-drive switches on the center console, but the GX is well appointed." ConsumerGuide: "The 2nd-row seats slide fore and aft to favor passenger or cargo space, and may be folded to create a flat load floor." MotorWeek: "Lexus took legroom from the second row and added it to the third row. Still, the 50/50 power split bench is only fit for children." ConsumerGuide: "Small door openings can make for awkward entry and exit." 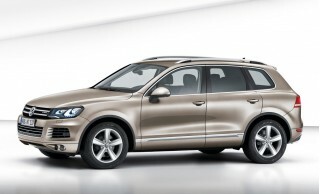 MotorWeek: "Luxurious, with plenty of wood and leather, yet still rather serious. The steering wheel and dash are vaguely truck-like yet also attractive." Motor Trend: "the problem with this style of door is that when the vehicle is parked by a curb and someone is unloading gear, they have to walk all the way around the open door (and closer to traffic)." Motor Trend: "It doesn't have the same level of ride comfort as a crossover…and you will feel some bumps here and there." Motor Trend: "The second row can manually slide to make it easier to get into or out of the third row; it also reclines and folds and heated seats are optional." Motor Trend: "legroom has improved in the second row"
ConsumerGuide: "Big electro-luminescent gauges are easy to read"
ConsumerGuide: "swing-out rear door opens from the driver's side, which can complicate curbside access"
MotherProof: "Talk about fully loaded! The 2010 GX 460 is chock-full of safety features, including front knee airbags, side-impact airbags for the first and second rows, and side curtain airbags for all three rows." Car and Driver: "the GX’s ride is more trucky and firm than that of most car-based crossovers." MotorWeek: "Ride is indeed more truck than car-like, but it should be." Car and Driver: "the cabin is a hush-hush environment ,and fit and finish is first-rate, save for the faux metal trim on the dash"
ConsumerGuide: "excellent fit and finish, with mostly top-notch materials and plenty of soft-touch surfaces"
Test results aren't yet available, but the 2010 Lexus GX 460 offers more safety features that other vehicles in this class, plus some nifty tech options. Visibility could be an issue for some drivers. Car and Driver: "There are 10 airbags plus driver aids such as lane-departure warning, a driver-attention monitor, adaptive cruise control, intelligent high-beams, active front lighting, precollision braking, and multifunction cameras." Motor Trend: "Intelligent high beams come with the premium model, and other available safety options include dynamic radar cruise control and lane departure alert." MotherProof: "When I’m slowed down as I approached a stop sign, for example, the front and side monitor cameras showed me if any small pedestrians might be crossing in front of me or if a bicyclist was pulling up beside me. Brilliant!" Take one even cursory look at the feature set and options list of the 2010 Lexus GX 460, and there's little doubt that it's a class leader. Car and Driver: "the available Mark Levinson sound system is a thing of auditory beauty"Car and Driver: Motor Trend: "the optional wide-view front and side monitor, which displays in the 8.0-inch touchscreen nav, uses cameras in the grille and under the passenger-side mirror to aid parking." MotherProof: "the steering wheel warmed up and was just as comforting as wrapping my hands around a cup of cocoa"
Car and Driver: "add in all the gadgets, navigation, and a rear-seat entertainment system, and the price balloons close to $70,000"
MotherProof: "My biggest complaint about the GX — something that’d be a total deal-breaker for me — is its swing gate cargo door. What?!"